In November of 1992 Ed Manuel, N5EM and a bunch of his friends decided that if we were going to have an active ATV community we needed to organize and form an official ATV club. 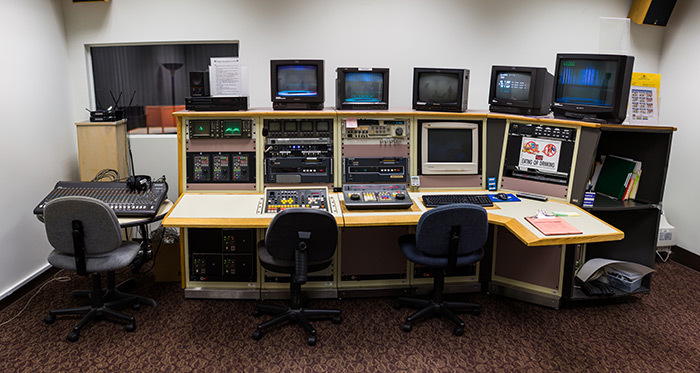 The Houston Amateur Television Society was officially formed in December 1992. Our first order of business was to build an ATV repeater. We decided that any successful club had to have several core properties to grow and achieve thier goals. 1) Annual dues for income. 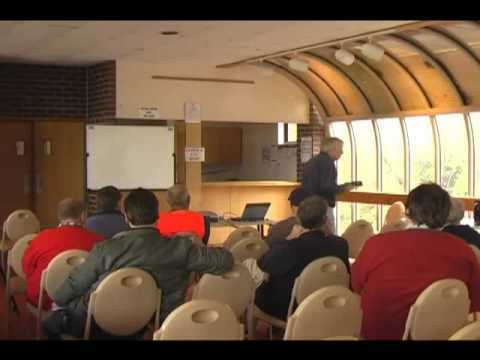 3) Hamfest particpation to recruit members. 4) Incorporateed to provide legitimacy. 5) Provide public service to the community. There was quite a bit of activity, interest and we gained a world wide audience for our activities - published in ATV Quarterly. 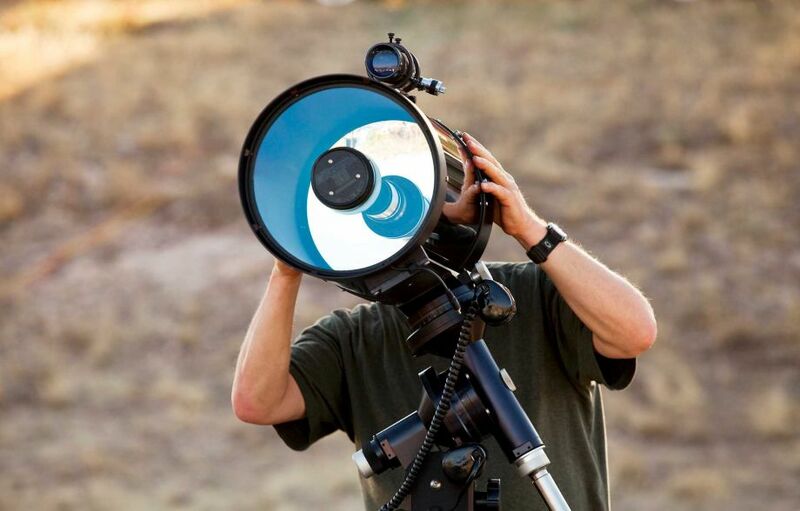 We quickly set about putting up a machine and getting everyone in the Houston area on ATV that we could, even if it was just to receive ATV on cable channel 57 over the air and talk back to us on the 146.700 2m repeater. We hit every Ham convention we could to drum up support and interest in ATV. We built our own N5MBM ATV repeater with inputs on 434 MHz AM and 1255 MHz FM, and outputs on 421.25 MHz AM and 1285 MHz FM. 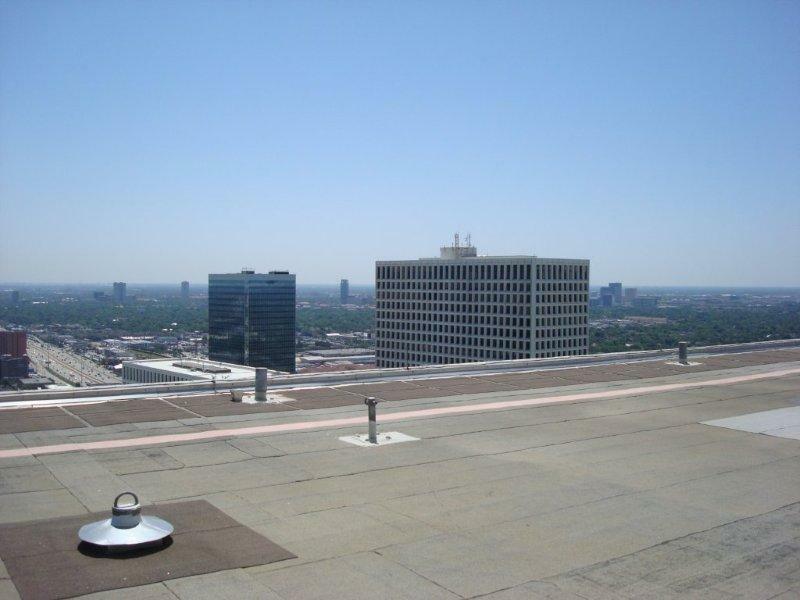 It was located high atop an office building in SW Houston co-located with the N5MBM cross band packet digipeaters. 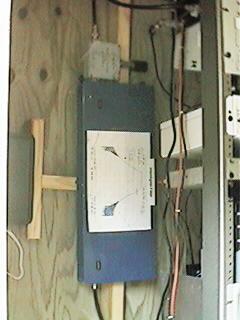 This repeater worked okay for a while, but then the W5PZP repeater was repaired and brought back on-line in 1993 near downtown Houston, at that time, with two ATV repeaters on the air, we were faced with severe interference. After several discussions HATS and W5PZP decided to merge the repeaters at the better W5PZP site and we improved the system dramatically, providing city-wide ATV coverage. It worked rather well! 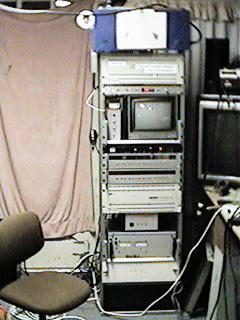 Here's what the N5MBM shack looked like in Katy back in 1996. We wanted EVERYONE to be able to receive our television signal even if they could not transmit back to us! 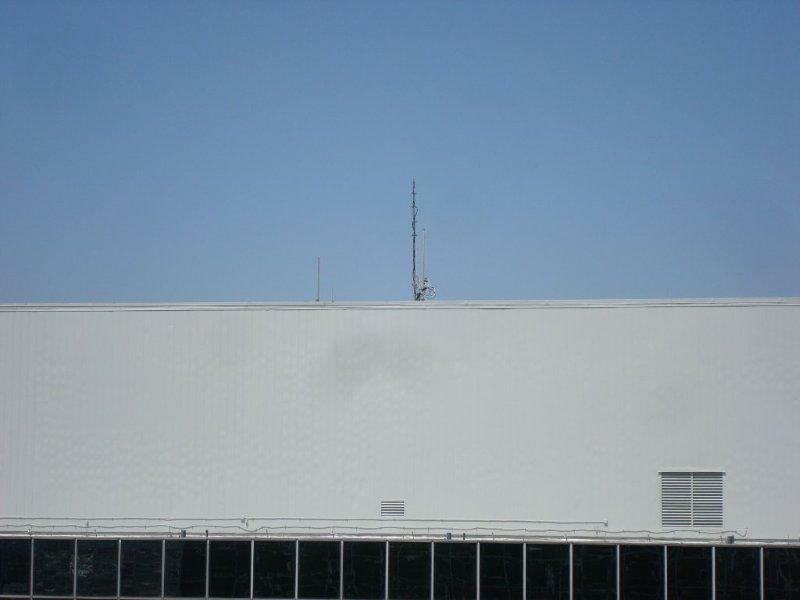 We went to a "Split-Site"arrangement where our receivers were on one building and across the complex on another building we housed our transmitter with a microwave link in between them. 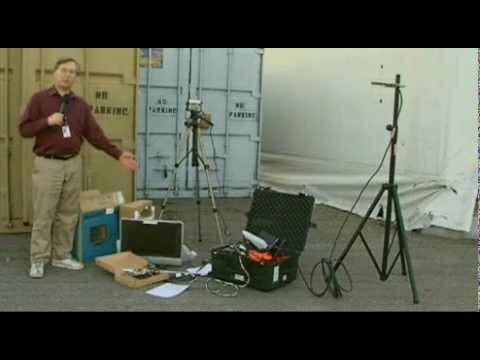 We added remote bases for weather radio, other FM repeaters and special event frequency audio inclusion with our video. We were able to run mobile video over a large portion of the Houston and Harris County area. The technical challenges of doing this are undescribable but luckily we had some very technically competent people in our clubs ranks! The next major hurdle was to make the preferred input 1255 MHz FM more affordable to the average HAM. 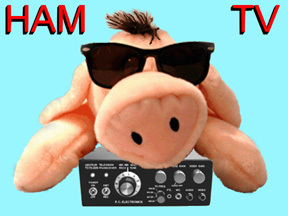 It was decided that is we could build a transmitter for about $250-$300 US Dollars so we could bring more HAMS into the ATV community, get transmitters into the hands of people who could USE them and help fund other ATV club projects. We were blessed to have several very technical engineers in our ranks. One such HAM was Jeff Johnson, KC5AWJ who is the designer of our HATS TR-1 FM ATV transmitter, and our Delta 900-1200 MHz FM ATV transmitter. We sold many transmitters mostly in the US, but also in Canada, Japan, Australia, UK and France. But more than anything, most of us enjoyed going out into the community and setting up portable stations and playing with video in places most people wouldn't think of. HATS enjoyed doing civic events, bike rambles, marathons and walk-a-thons. We all enjoyed the public service aspect AND the technical challenges. We spent quite a few years serving the Houston community. 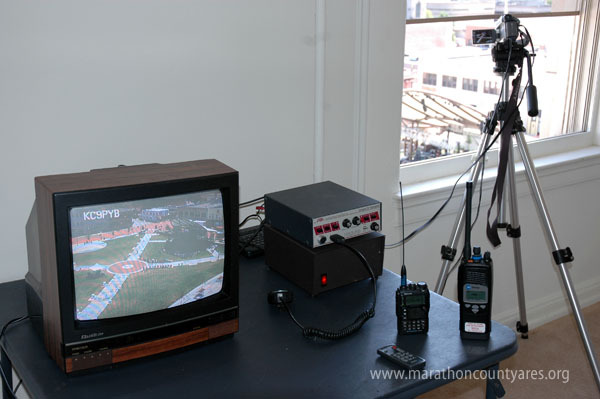 Having LIVE ATV from vehicles around the course or ON the course while an event was going on was a very valuable asset to event organizers and officials. But in reality, a lot of us just had a lot of fun playing with our cameras! 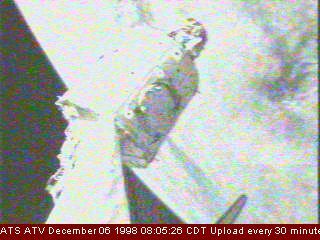 Here is an actual live picture captured off of the W5PZP repeater at 8:05pm on December 6th, 1998 during a NASA shuttle mission. In 2001 HATS made some serious changes to their system, not only making it split site, but turning it into two separate repeaters so TWO ATV QSO's could actually happen at the same time! Limits on the antenna configurations forced us to divide our equipment between our two sites, A and B. Note that this new configuration at Site B had the 1.2 Ghz. input as primary. So, if a user is on Site B through the 1255 input, the 915 Mhz. link is bypassed. This means that if there are users on both 1255 and 1265 inputs, then the repeaters are, in effect, separated and functioning independently - two repeaters, two QSOs. This proved very useful at times and we could actually shut the 915 Mhz. link off to be able to use them totally separately! Site A continues to be in its previous location at about 400 ft.
Site B is about 3 miles SW of Site A and at about 250 ft.
Users who can get into the 1265 input will be repeated on both outputs. Users who can only get into the 1255 input will be repeated only on 421.25 . This provided better access for those in SW Houston who could not easily get into the original location. 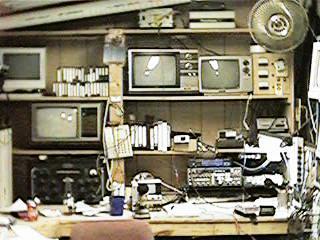 After 2001, HATS sort of faded away as people moved away and the death of the NTSC standard brought interest to a halt and honestly, how many times can you see the inside of some guys shack before it gets kind of boring? 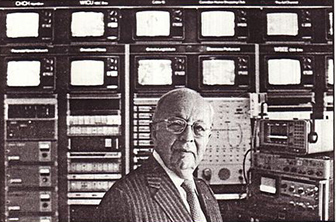 Then the W5PZP ATV repeater lost its site near downtown Houston - putting the final nail in the coffin for the Houston Amateur Television Society. It was a good run while it lasted.... By 2008 HATS was dissolved and it became another fond memory in the minds of many Houston hams. The N5MBM ATV repeater was moved to Katy when the W5PZP machine was repaired and became operational again in 1993, It was setup for a 1255 MHz FM input with a 427.25 AM VSB output. Then it got moved to Chappell Hill TX. in 2000, switched back to 421.25 again and a 2.4 GHz input was added in 2012. 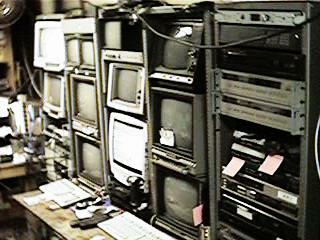 The old boat anchor was built from a NTSC stereo Standard TVM450 cable TV modulator on 421.25 MHz, cable channel 57. The output was fed into a small home brew amp driving a big Mirage amp into a circulator, into a VSB filter and up to an omni antenna at 45 ft on our tower. The first input was on 1.2 GHz FM using a satellite demodulator. The second ATV input was on 2.4 GHz FM. It all worked rather well but it got little use over the three years or so it was up and operating here at the farm. It had in been in storage for years after our move here from Katy around the year 2000. It ran for years at our Katy home and worked reasonably well. Then it met it's end in a lightning strike in May of 2015. 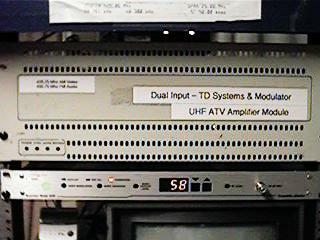 The last remaining working HATS ATV repeater (And the last one in this part of Texas!) is now just a fond memory... Turned into a smoking hulk in an instant during a storm. Many thanks to Fred Juch N5JXO for beginning this history.